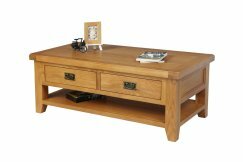 Our catalogue of oak living room furniture will enable you to find everything you could possibly need to furnish your living room with oak furniture. 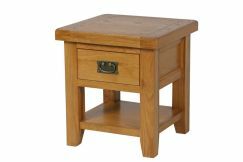 Transform your home with our best selling collection of solid oak living room furniture, whether that be from our range of oak coffee tables or storage units such as a display cabinet or a bookcase. 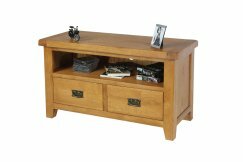 Find all of our oak living room items in this category here. Furnishing your living room with oak living room furniture can be a very effective tactic to help give your living room a cosy homely ambience. The living room is often associated with lots of storage, whether that be in large bookcases or cabinets, or in tables that can be used for both private storage and public display purposes. We have crafted our collection of living room furniture to provide our customers with fantastic storage facilities, allowing them to keep more items for easy access in their living room. We all like to put things in different places depending on where we like to sit within the living room. Some things we like to keep hidden away out of sight whereas others we like to have in an open space, either for public display or easy access. With that in mind, we aim to cater to the flexibility that customers desire when it comes to storage facilities provided by their oak living room furniture. That is why we have designed our collection of living room furniture to offer different storage facilities. 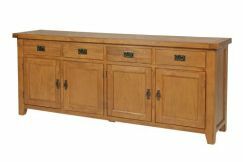 For instance, we have a range of sideboards in a range of sizes and with various numbers of drawers to provide customers with flexibility of choice depending upon the type of items that they wish to store inside. When buying oak living room furniture that you want to store items in, it is vitally important the furniture that you are investing in is durable and reliable enough to hold the amount of storage that it should do. After all, you don't want to be spending money on any of this furniture expecting it to last for years and years to come, only for something on it to snap and break after a few months because the craftsmanship employed in making it wasn't up to standard. Stunning oak living room furniture from Top Furniture. Premium quality sideboards, cabinets, corner display units to add essential storage space along with coffee tables, TV units, nest of tables and lamp tables. 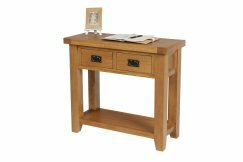 Made from sustainable premium grade oak at sensible all year round low internet prices. 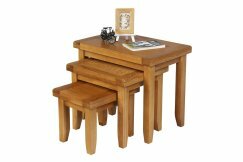 Please browse our recent product reviews to see for yourself why we are fast becoming on of the UK's leading retailers for oak furniture.